Skip the chemicals and opt for pure and simple ingredients that will still leave your clothes fresh and clean. 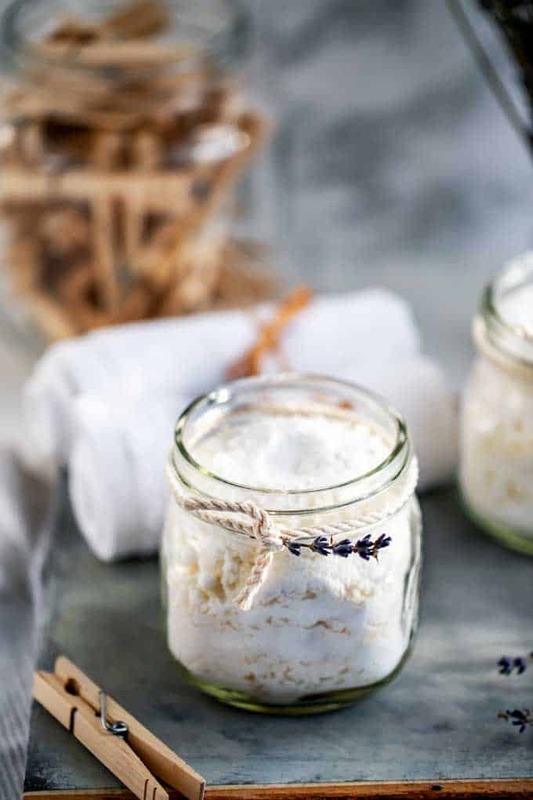 Using this DIY Laundry Detergent is safe, economical, effective, eco-friendly and will leave your clothes smelling great! Here is everything you need to know about greening your laundry routine and helping your family avoid toxins. 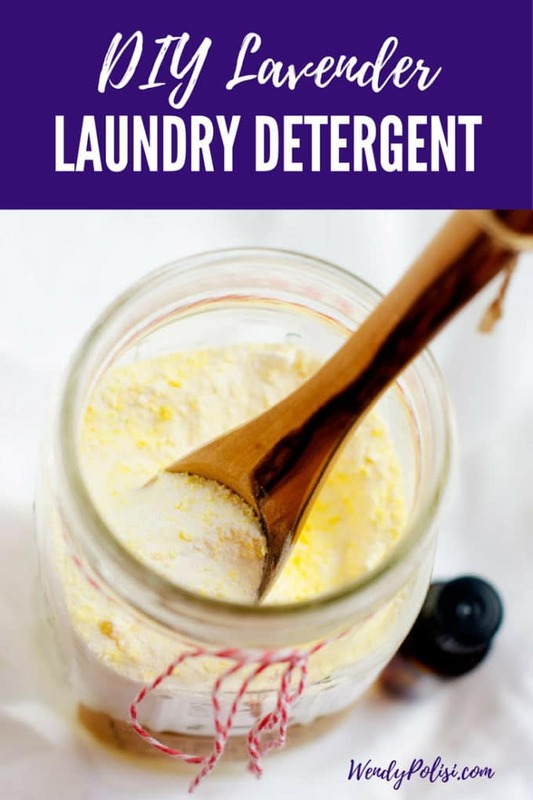 1 Why Use a DIY Laundry Detergent Over Traditional Detergents? 2 What Ingredients Do You Need to Make a DIY Laundry Detergent? 4 How Do You Make Laundry Detergent? 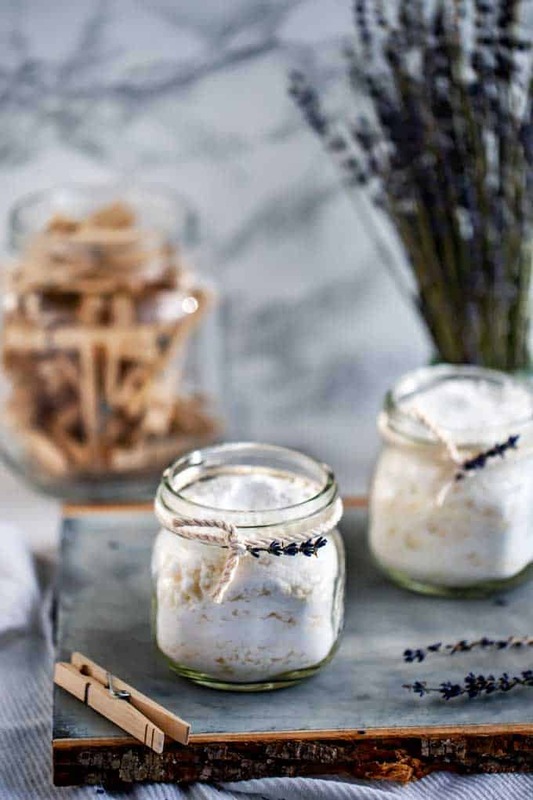 8 Prefer to use a Homemade Liquid Laundry Detergent? Try This Recipe! Why Use a DIY Laundry Detergent Over Traditional Detergents? 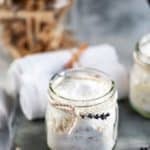 When I was diagnosed with Hashimoto’s disease, one of the first things that my naturopath told me to do was to start eliminating toxins from our home. We already tried to eat organic as much as we could, but I was using conventional cleaning products and toxic beauty products. At the time, I didn’t fully understand the connection between these products and my health, so I began to research a bit further. What I found was that toxicity has been linked to everything from autoimmune diseases to cancer. Did you know that indoor air is typically two to five times more polluted than outdoor air? According to the Environmental Protection Agency, household cleanser including laundry detergents are the biggest culprits. Making your own detergent with safer ingredients is a great way to combat dirty air! Laundry detergent residue is in contact with our skin almost all of the time. Many traditional laundry detergents have nonylphenol ethoxylate, which degrades into a powerful bioaccumulating endocrine disruptor. It is one of those nasties that is banned in Europe but completely legal in the United States. There are safe laundry alternatives on the market, but they can be difficult to find and expensive. Plus, thanks to greenwashing, sometimes it can be challenging to know exactly what you are getting. The solution? Make your own DIY Laundry Detergent! It is simple, economical, and gives you complete control over what goes into your family’s clothes. Did you know that both acne and eczema can be caused by both internal and external sensitivities? If you suffer from either, try eliminating artificial dyes and fragrances for a few weeks and see if things improve. What Ingredients Do You Need to Make a DIY Laundry Detergent? Washing soda is similar to baking soda but a bit more alkaline. Its high pH gives it cleaning powder without the fumes that come with many solvents. It is a bit caustic, so it should be handled with care as it can irritate skin. Borax is an alkaline mineral salt. Castile Soap is a gentle soap that helps to lift away oil and grime. Baking soda is also known as sodium bicarbonate. It helps to clean, deodorize and whiten fabrics. This detergent will work best in a warm setting. If you are washing on cold, add the soap to a bit of hot water and dissolve and then add to the detergent compartment. If you have hard water, double the amount of washing soda. For a DIY Fabric softener, add 1/2 cup white vinegar to the rinse cycle. Say No to Chlorine Bleach! It releases toxic dioxins into the environment. For whites add 1 cup of hydrogen peroxide to the rinse cycle to keep whites brighter. For darks use 1 cup of white vinegar. How Do You Make Laundry Detergent? 3. 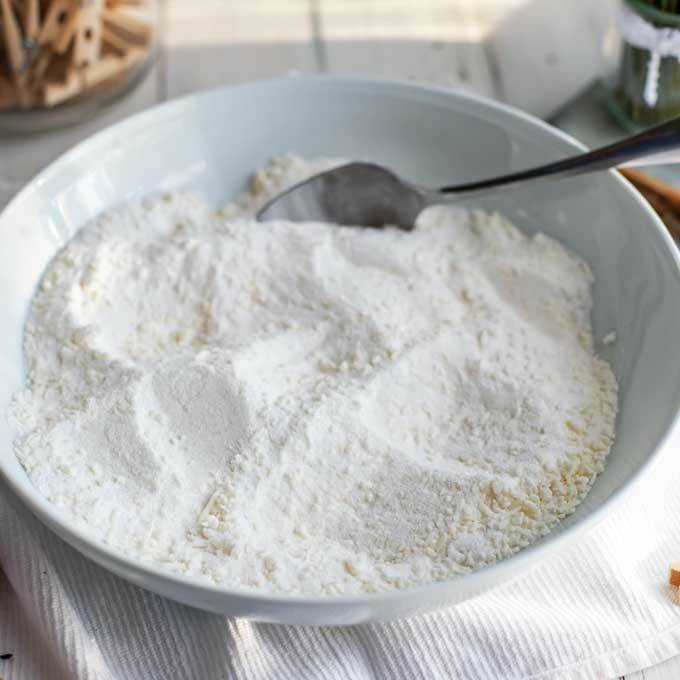 Place washing soda, baking soda, borax (if using), and grated soap in a large bowl. 5. Add essential oils and stir well. 6. Store in a glass jar or oil-safe plastic container. 7. To use, add 1 to 2 tablespoons per load. Shop Now! Get 10% Off SITEWIDE with your $60+ Purchase & FREE Shipping, Only at Plant Therapy! Use Code “10OFF60” and Save! 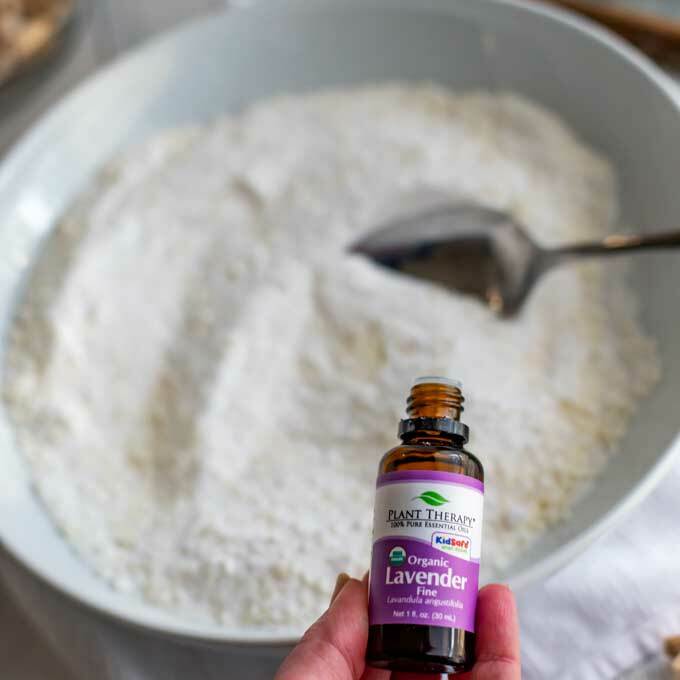 This DIY Laundry Detergent is a simple recipe that will leave your clothes smelling great! 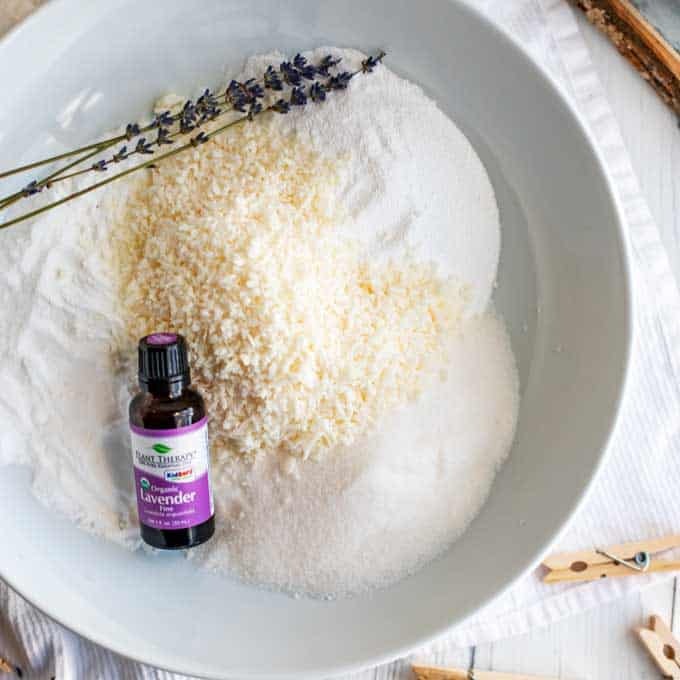 It is a fabulous way to save money and stay away from the toxins that are often found in traditional detergents. Mix washing soda, baking and soap ground in a large bowl. If using borax, stir it in. Stir in an airtight container and add 1- 2 tablespoons per load. 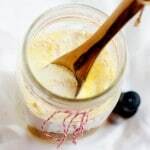 Prefer to use a Homemade Liquid Laundry Detergent? Try This Recipe! Add the Castile soap, white vinegar, glycerin, and water to a glass jar. Shake well to combine. To use, add 1/3 cup per load. For heavily soiled loads use 1/2 cup and add in 2 teaspoons citric acid or 1/4 cup washing soda.